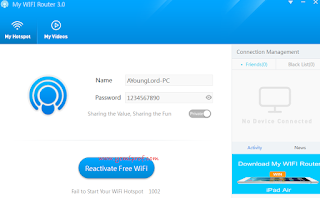 way to share your internet connection from PC to other computers or devices. ==>You can also monitor the connected devices. wow…cool! with your system you can now host internet! Thanks prof for this timely update… This will be useful in my office couple with the fact that we are using SMILE 4G LTE network. You are the best! Prof abeg helep me ooO I subscribed for bblite daily and wanted to share the internet connection wit my pc is not working anytym I on hotspot abd on data the hotspot disconnect itself I dnt know what to do again datz y am askin u 4 help. Im really sorry for posting this here.I tried factory re-setting my samsung s4 with custom rom lollipop 5.1 and my phone start flickering(as in it started showing blank face blinking)…please help me out. It seems the Rom you flash has some bug. Get another Rom and flash it again. Unroot it… and check if it will pick calls this time. Please do you have link to download windows 7 and steps to it please? Would it work with mtn simple server cheat, if no then does anyone know how to share mtn simple server through wifi? Pls how can i configure simple server and use mtn bb sub on my android device? Mr Yomi pls i ned ur help. I tried downloading some apps 4rm Googleplay nd it keeps telling me dat i hve low storage,dat i should uninstall some apps.pls wat should i do.Am using Gionee M2. Go to settings>>>Apps>>>and clear individual app cache. Reboot your device. Nice one prof. Can i still use it with connectify? You can either use Connectify or this, they both do thesame work. Yes their is always a way where their is no way. ==>switch off your device and boot to recovery mode (press and hold Volume Down button + press Power button), once you see the text “Recovery Booting”, then free the buttons. ==>go to the recovery main menu, then choose install, then select the Xposed Framework zip file and install immediately. ==>Once the flashing process is completed, reboot your device via the recovery main menu. ==>Download the Xpose Framework main package here and install on your infinx device. Thats all! I saw people asking how to share bblited but i want to ask maybe the bblited still works? It doesn't work for me again for like 2 weeks now on 2 different sims. Sorry to ask this here Oga Prof, but is the etisalat with simple server still working? . And please give me a link to it. Thanks soo much. 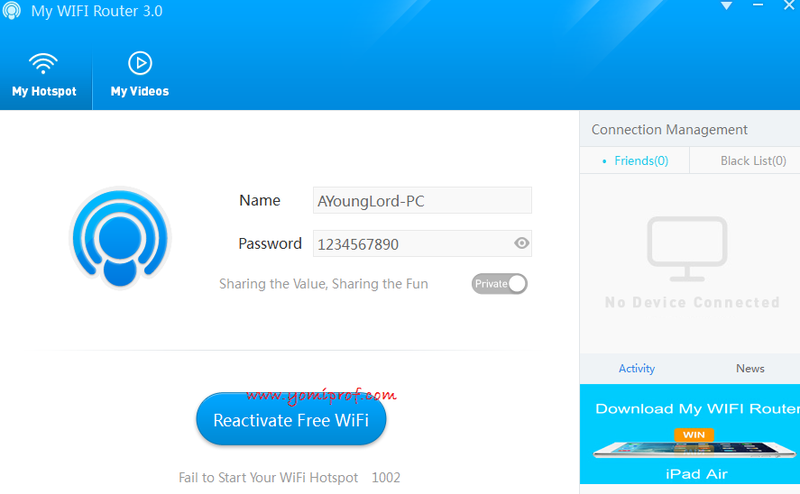 I was able to hotspot connection from my pc to my ipad/android phone using the above mentioned app. But these devices aren't getting internet connection. What's the solution pls. I'm using MTN BBMIDID plan on my system.